"Tawn brilliantly combines her intuitive awareness with her clinical expertise to support her clients from a unique wholistic perspective. Her great compassion holds it all together beautifully. Give her the opportunity to guide you on life's journey." 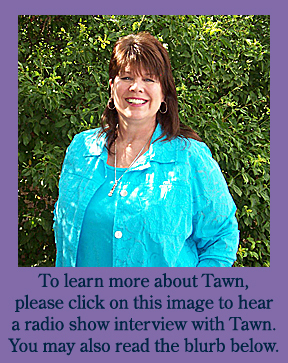 Listen to a radio show interview with Tawn here. Watch a free interview with Tawn here. Dr. Jones' 29 minute video really is worth watching all the way through. However, if you are only interested in Tawn's part, please move the time bar to 17:07. As far back as I can remember I have felt drawn to help others, just as they have been drawn to me for help. At a young age, I became aware that I had a knack for knowing what was going to happen next for others and how to help them work with that. As I have grown and matured, the skills I have gained and learned to use have become varied in technique and presentation. At this time, I have a comfortable assortment of tools that can be customized to fit most people's needs in seeking help and direction in their lives. 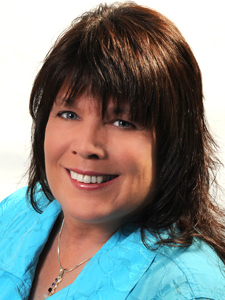 Today, I am a Licensed Psychotherapist, Professional Intuitive, Reiki Master, Minister, and Public Speaker. I see myself as a healing vehicle or an avenue for those I work with, a way for them to begin to have new ideas or a shift in viewpoint for how to create change in their lives. I do not do their work; I open them to ideas of what their personal work is, and how to do it. There are testimonials for your review on each page of this website. There is no time like the present, I encourage you to take action now—for you, for the ones you love, for your future. "Healing comes from your shift in energy and focus." Website design and maintenance is performed by Nicole Schairer.